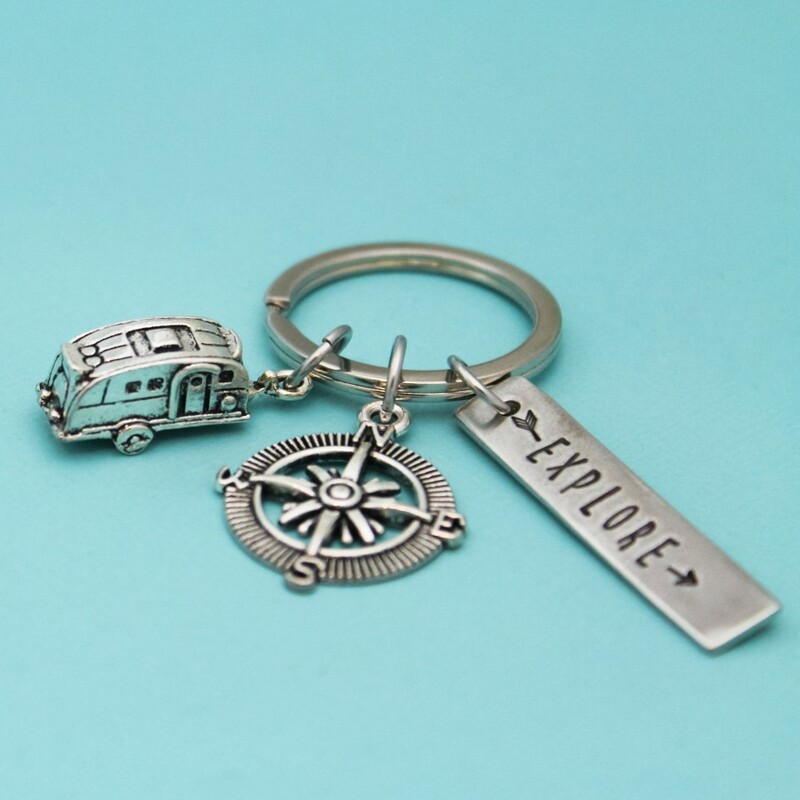 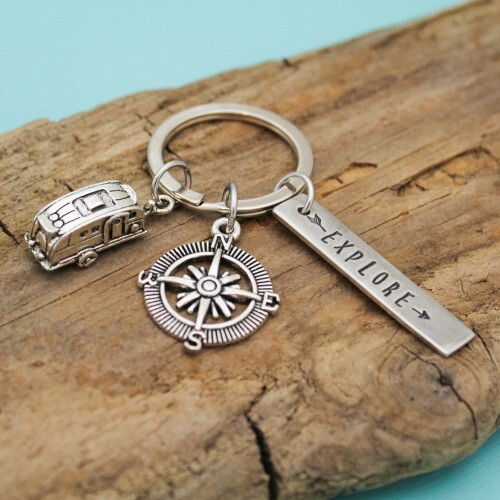 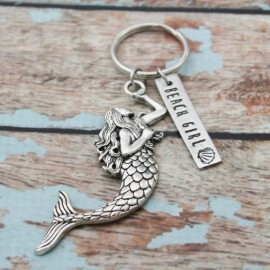 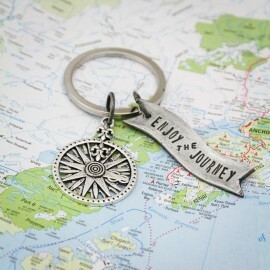 You will receive one solid pewter rectangle stamped with the "Expore" along with a cute camper and compass charm. 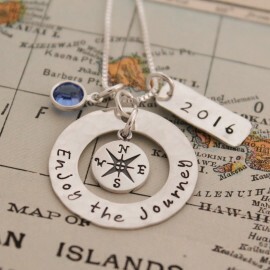 You can get the back stamped with a name or date. Pewter is considered a precious metal. 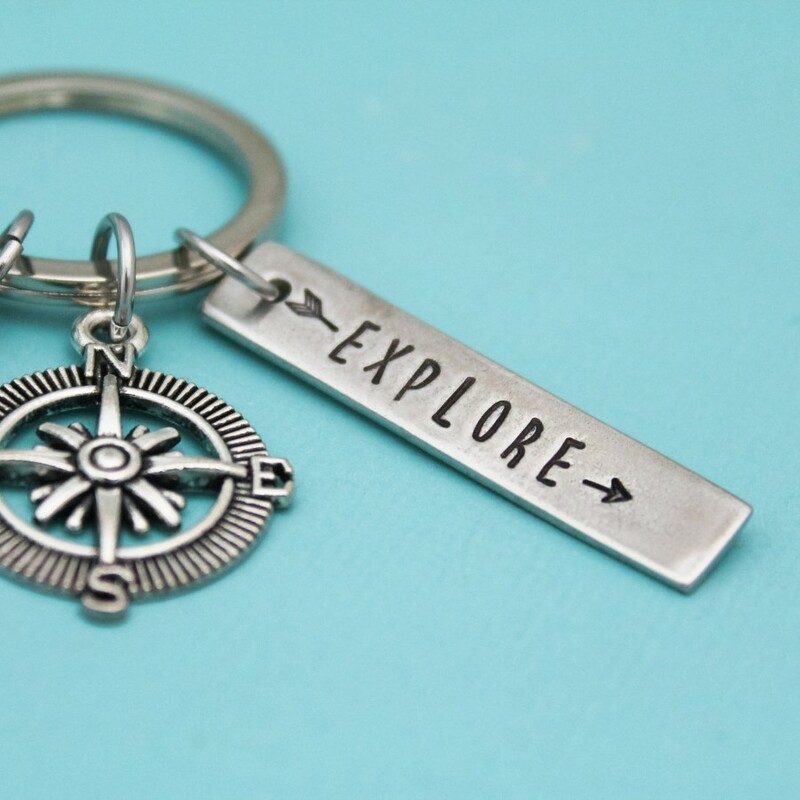 It is an alloy of mostly tin with a bit of copper. 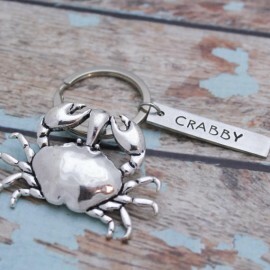 It is a soft but durable metal. 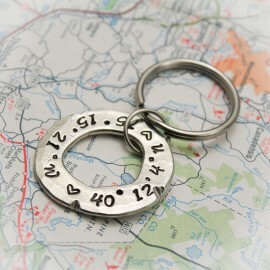 Attached with a sturdy stainless steel jump ring on a split key ring.